2. 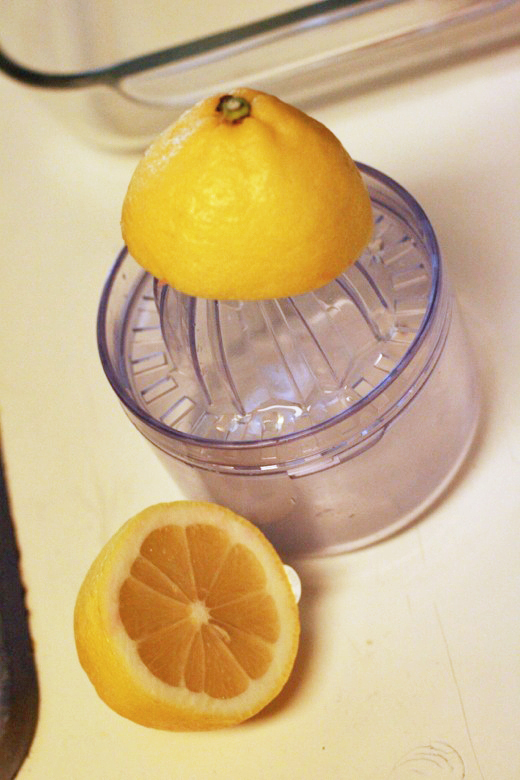 Squeeze the juice from your lemon. 3. 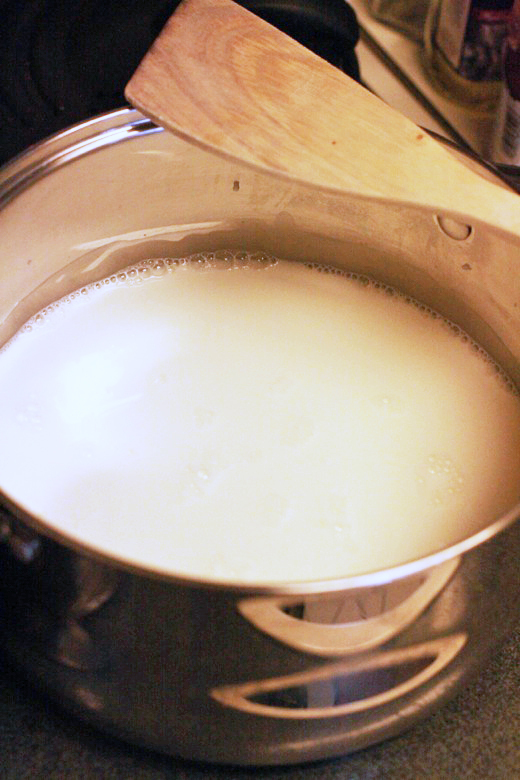 Use the kitchen thermometer to monitor the temperature of the milk as it warms. Stir slowly and constantly to prevent scalding. You are waiting for the temperature to reach 180ºF, which is just before it begins to boil. 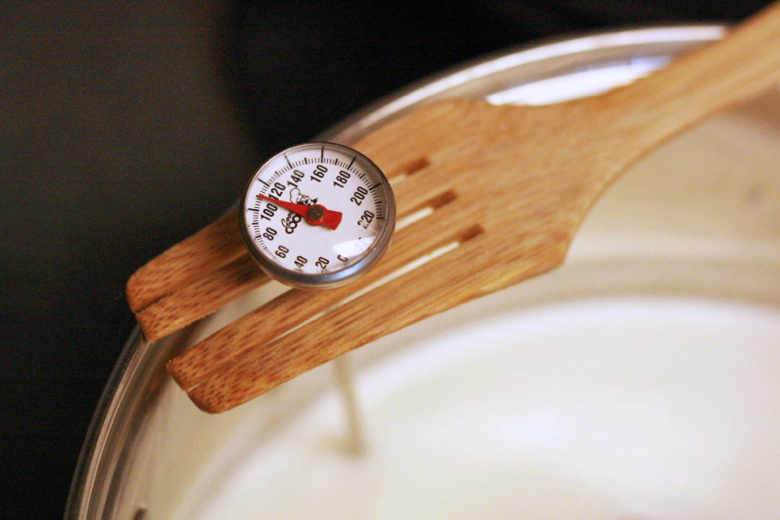 If you don't have a kitchen thermometer, you can just wait for the boil to begin — make sure in either case you immediately move it off the heat when it hits near 180º, or it will boil over in seconds. 4. 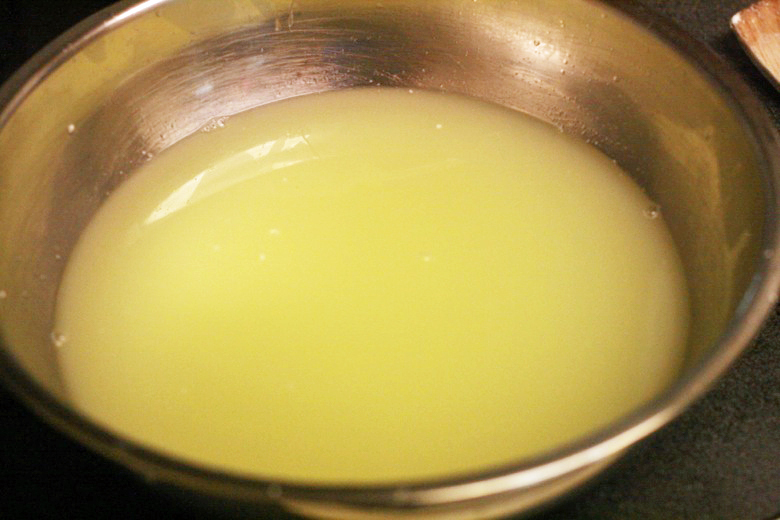 Add the lemon juice to the pan, and stir once to distribute evenly. 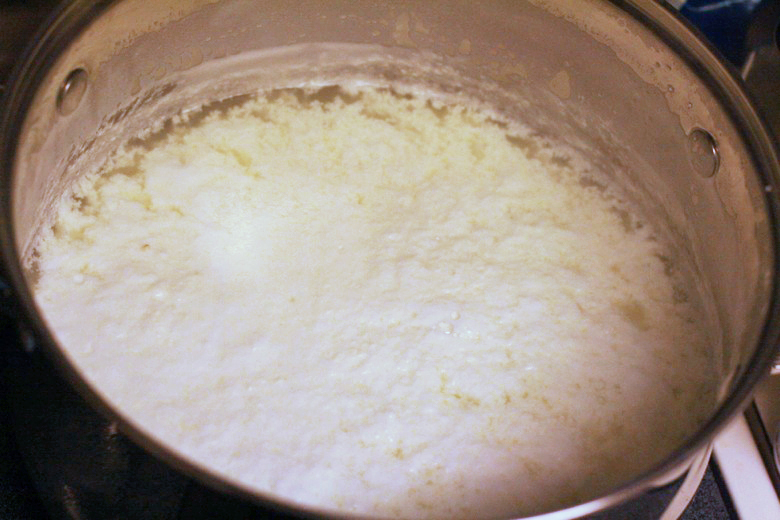 Within seconds the curds and the whey will have mostly already separated! This is the fun part for the kids to watch. 5. 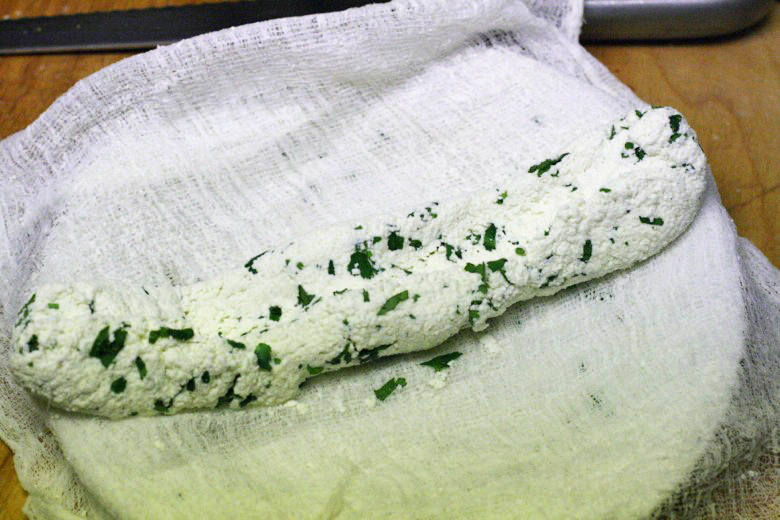 Let sit for 15-20 minutes to cool (because you'll be handling the cheese and whey with your hands). 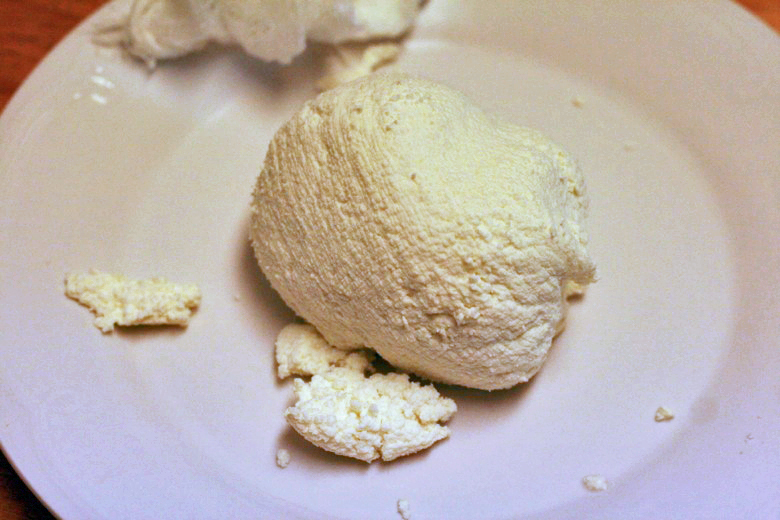 Then line a large bowl with cheese cloth, slowly empty the pot into the bowl, and lift out the cheesecloth, keeping the curds inside and leaving the whey in the bowl. 6. 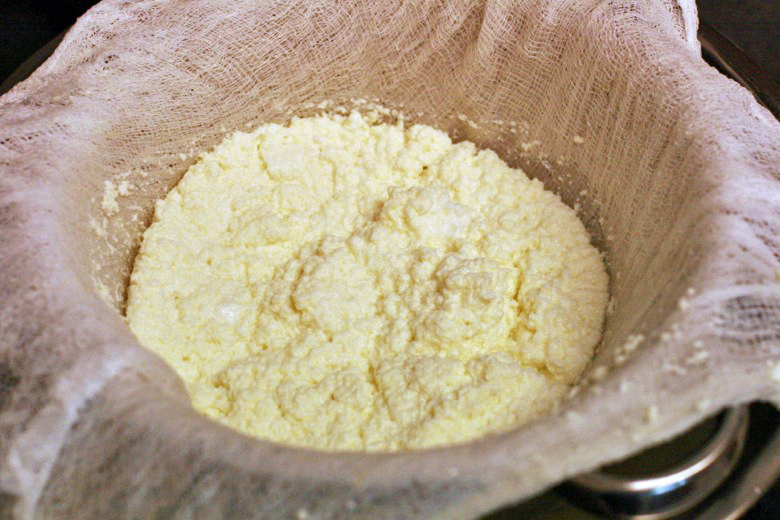 Tighten the cheesecloth to push out even more whey, until it's difficult to wring out any more moisture. 5a-6a. 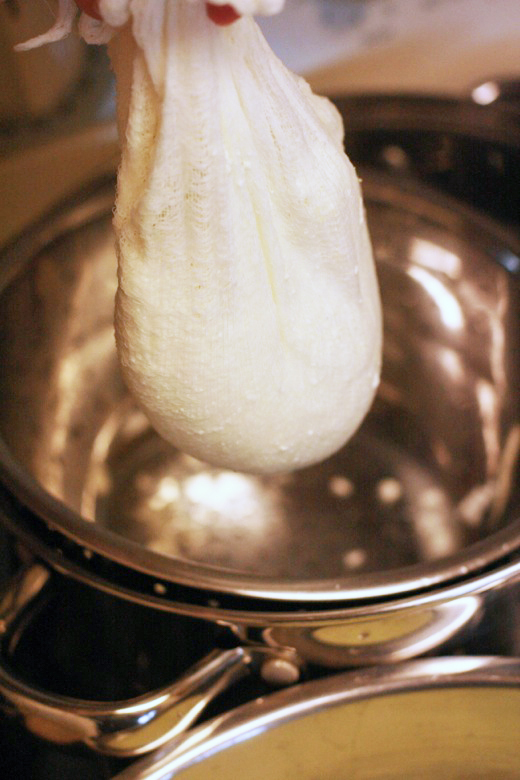 If you don't have cheesecloth, a strainer can work just as well; you just might need to do it in two batches. 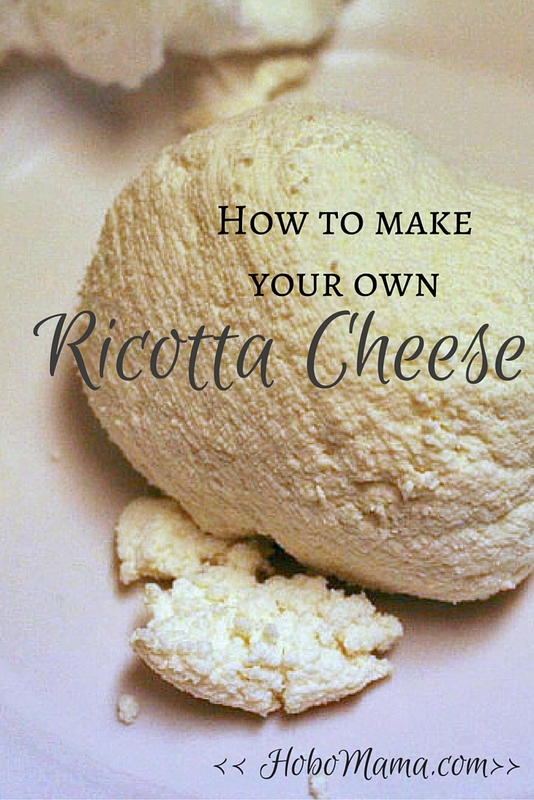 In lieu of squeezing the cheesecloth, you will have to spend more time waiting for the whey to drain, but it works perfectly fine. 7. 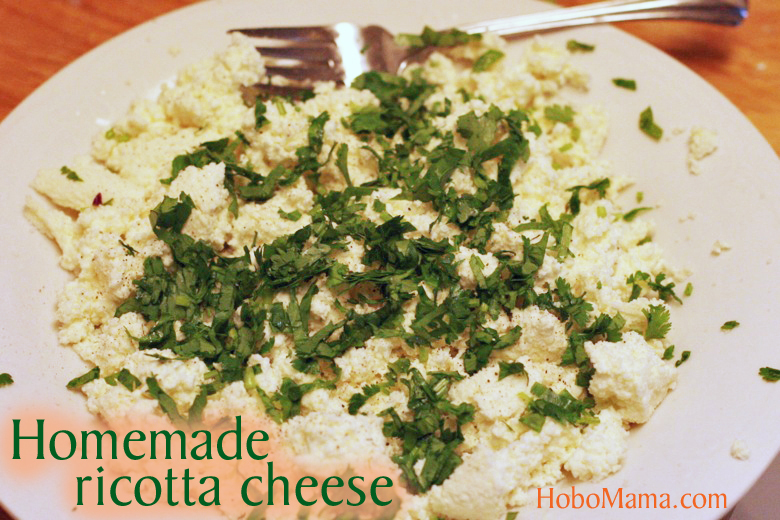 Move your lump of ricotta to a plate to break it apart, and add the salt, making sure to mix well to distribute. You may add any other herbs and spices that you like at this time, too — lemon zest, basil, chives, black pepper, etc. 8. 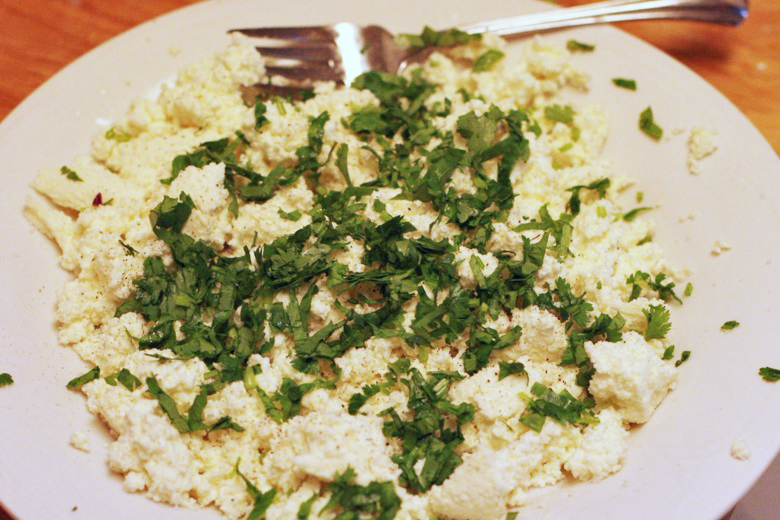 If you're planning to sprinkle the ricotta (like in lasagna, on a salad, or over refried beans), you're finished: Just store it in the refrigerator. 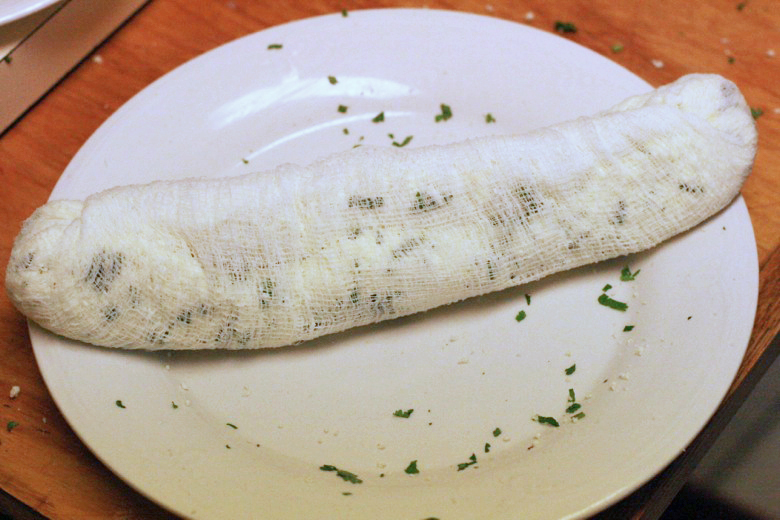 If you want to be able to slice it later (to lay onto toast or crackers), you can create a log by rolling it back up in the cheesecloth tightly and refrigerating it like that for two hours. 9. 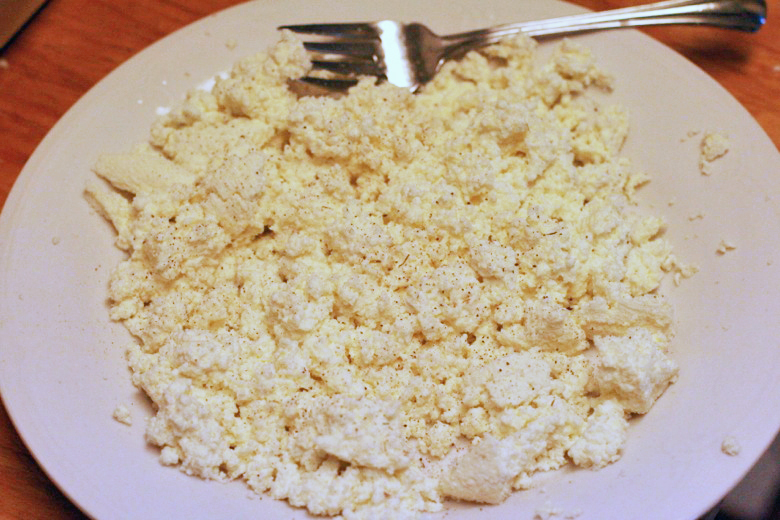 The whey is still very useful; it can help give your homemade breads a fluffier crumb. (Recipe for homemade bread that uses whey coming shortly!) Store in the refrigerator and freeze whatever portion you won't use soon. 10. 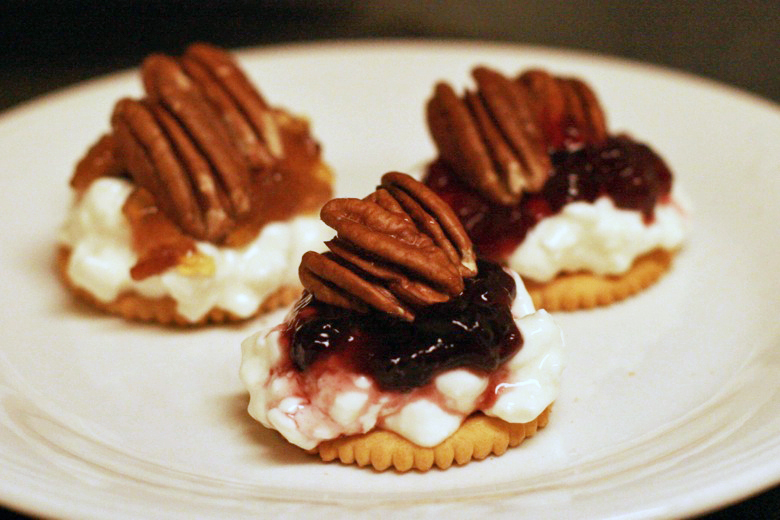 One of my favorite ways to use ricotta is to layer it with jam and nuts: blackberry and pecans, apricot and walnuts. You can make little appetizers on crackers as pictured, or just eat in a bowl like you might yogurt and granola. Enjoy! You're now a cheesemaker. Click here for a prepared Tweet! Yay! 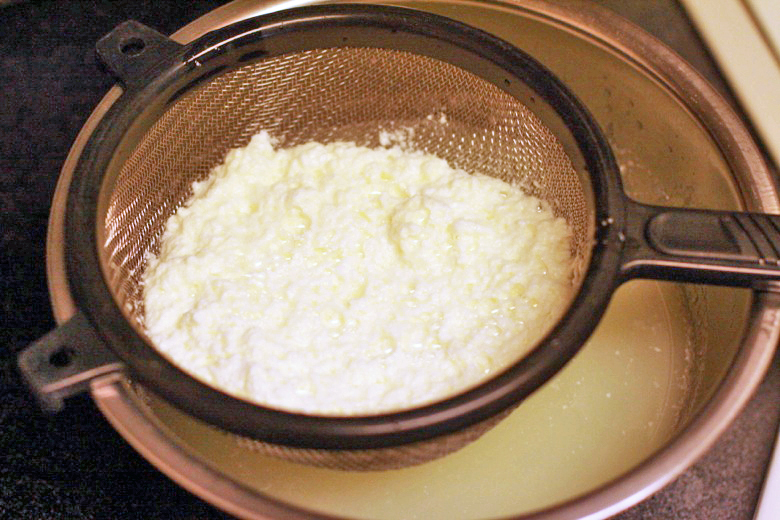 I also line my strainer with a coffee filter for draining cheese. 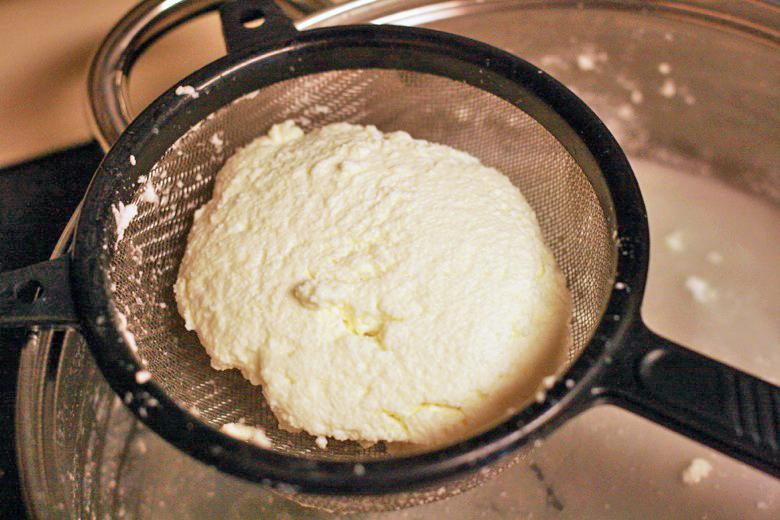 The other thing you can do this way is yogurt cheese, which is just what is left by putting whole milk yogurt into the strainer/coffee filter and leaving it to drain. It's much like cream cheese. @Seonaid: Good tip about the coffee filter! 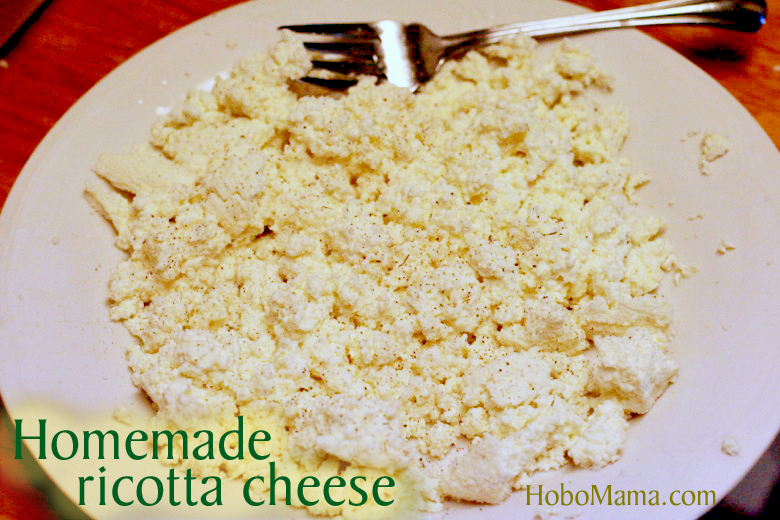 And I'm sure we made yogurt cheese before, too, though it's been awhile — thanks for the reminder!